Fidesco is an international Non-Governmental Organization (NGO) that recruits and trains volunteers before sending them for two year missions to under-served areas of the world. The volunteers make their professional skills available to the needy through humanitarian and development projects. Fidesco aims at the full development of all human beings without regard to religion, ethnic or culture differences. Fidesco creates opportunities for professionals to give two years of their life to support social initiatives managed by local partners. The formula of Fidesco’s excellence in service lies in its ability to recruit skilled volunteers, train them, and match them with projects where they can best put their professional and personal qualities at the service of the local population. After a powerful experience overseas, volunteers return to our societies as inspirational role models of relentless self-giving with lifelong impact. Fidesco is committed to empowering the disadvantaged communities it strives to serve by contributing to lasting improvements spearheaded by local partners on the ground. We carefully select organizations such as dispensaries, refugee camps, youth centers, orphanages, schools, and other projects that work to benefit underprivileged groups. We then match with volunteers’ professional skills in fields such as teaching, health, engineering, project management, social work, farming, or carpentry. Volunteers are trained by Fidesco to adapt to the local context and are always sent in teams. Fidesco has a strong international presence through local partnerships in 35 countries and 11 representative offices. Since its inception in 1981, Fidesco has sent over 1,300 volunteers. Currently, the organization has over 150 volunteers in 35 countries. 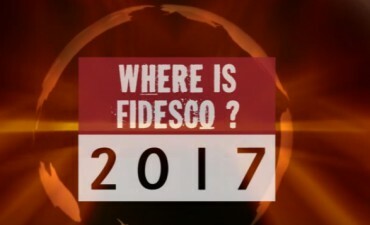 Counting on the enthusiasm for service that is embedded within the American national culture, Fidesco extended its operations to the United States in 2009. Fidesco USA is established as a Tax-Exempt Charitable Organization under Section 501(c)(3) of the U.S. internal Revenue Service Code and was officially included in the US national Official Catholic Directory in 2008.